From the 06-10th September, komoot is taking four local experts on an adventure in the Scottish Highlands. To earn your place on the trip, we asked you to share your region’s top Highlights with the community. And from castles to coffee spots, singletracks to sandwich stops—you did just that. So, thank you for taking part. Now it’s time to introduce the four local experts who’ll be joining us in Scotland. These four everyday explorers recommended truly amazing Highlights—just check out their profiles to see for yourself. Lexi grew up on a farm in Cheshire and always had a mountain bike to go off on adventures with her friends, but it wasn’t until she moved to London for work that she decided to buy a vintage steel Raleigh road bike for £100 off Gumtree, which she mainly used to cycle to work and avoid the “extortionate cost of a London travel card”. One Sunday her Dad convinced her to cycle to Brighton with him, and after getting up Ditchling Beacon on the South Downs on the very, very heavy Raleigh bike with seriously limited gears he advised her that it was time to think about upgrading and her obsession for cycling grew from there! 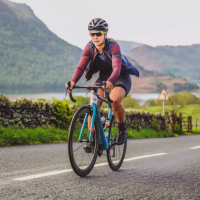 Now working as a contractor across Europe, she is constantly in different places and countries but she makes the most of it though, by exploring each destination on two wheels and getting a good workout at the same time! Having a pre-planned route uploaded to her Garmin has allowed her to independently explore and discover places new and old like a local! Having relocated a few years ago, Neil is currently based just outside Edinburgh. It was then that he discovered cycling as a way of making the commute into the city a bit more enjoyable than it is on public transport. 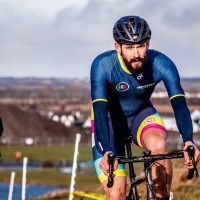 Since then he’s partly left the tarmac and has joined the Albannach cycle club, racing cross in Scotland and embarking on some mega days on the bike (most of which have been marred with dramatic weather and more than a fair share of mechanicals) but he keeps going back for more. 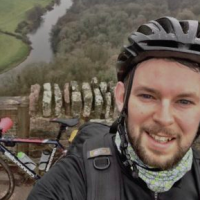 When Neil first started exploring Edinburgh by bike he was using other people’s Highlights as a way to get inspiration when plotting his routes, now he’s the one creating the Highlights and inspiring others. 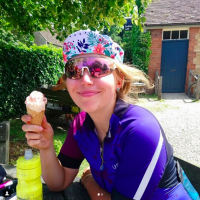 El describes herself as “A crazy cat-lady based in Bristol who is prone to long bike rides”…but she just completed the Mille Cymru 3 a 1,020 kilometer Audax through, up, down and around Wales (sounds more like Catwoman activity). You will often find El with a fully loaded backpacking set up, and strong tan lines heading off into the hills for the weekend with her bivvy. A three-time pioneer badge holder for her Highlight contributions on komoot which include recommendations for 24-hour snack stops, campsites and where you can get a great post-ride beer. Barry is a lifelong avid cyclist. Growing up in the 80’s BMX’ing, 90’s MTB’ing and more recently as an adult racking up 1000’s of miles on road and gravel bikes.